Content copyright. Kiss A Fold. All rights reserved. Such awesome and amazing people. 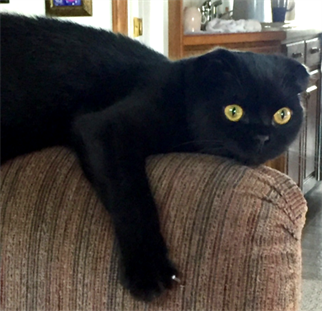 We traveled several states to come and pick up our sweet Scottish fold from them and even several months later always answer any questions I have no matter how silly they may seem to me. Very sweet and kind. Definitely plan on buying from them again if we ever decide to get another cat. My experience with Marina and her cattery has been great! My boyfriend and I took home one of her sweet kittens and we're in love. He's been very adaptable and has turned into quite the cuddler. He has the best temperament and he's been so much fun to have in our home! Marina cares so much for her cats and it really shows. She loves each and every one of her kittens and the fact that ours has been such a loving little guy is a testament! We would definitely work with her again! 1). Their breeder cats are gorgeous! They have excellent Pedegree credentials and have won many awards in TICA (International Cat Assoc.) shows & competitions. 2). On their website is a link to "Previous Litters". I must admit I looked at this link many many times! So much cuteness can be found here! 3). I was attracted to the fact that they are a small cattery which indicated to me that this allowed them to spend quality time with their breeder cats and kittens. 4). Communication was great! My inquiries and questions were always answered promptly. 5). 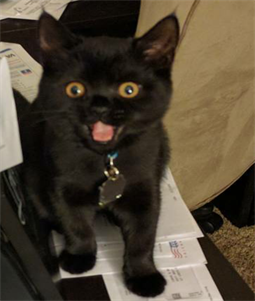 Once I selected my kitten, Marina & Alex invited me into their home so not only we could meet, but I could begin bonding with my precious Winston! Marina & Alex are loving kind people. 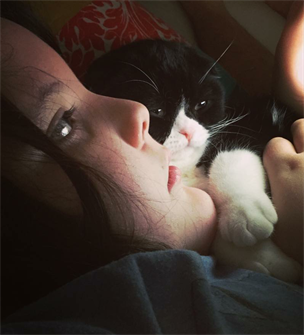 They pour their hearts and love into each and every one of their cats and kittens. I just wanted to say how much we love him and how beautiful he is. I mean the whole experience of getting Gunther was awesome, he's so amazing and gentle! We could tell by his sweet personality and his desire to be with us was a reflection on the care you gave him. All of the kittens were so beautiful and it was a tough choice, but we adore him. 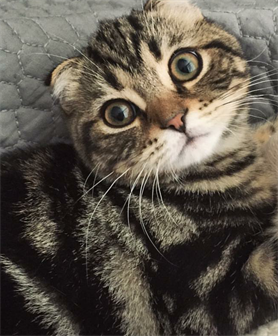 If anyone is considering adopting from ScottIsh Fold USA, do not hesitate! These kittens are beautiful with the sweetest temperaments.